I SPEND SO MUCH TIME researching the various topics that I write about, I really don’t have much time left to read others’ blogs—which is a shame, because we are living through some kind of golden age of freedom of expression of whatever the hell you wanna say and have the actual possibility of having millions of people pay attention! 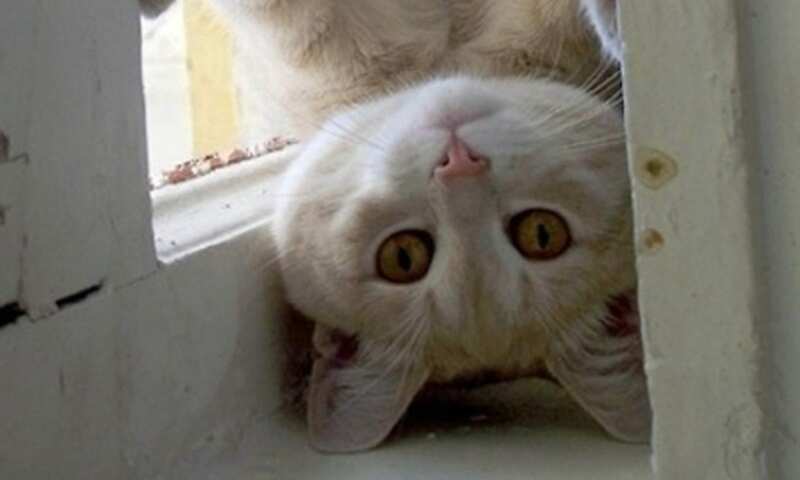 But I do subscribe to two blogs, which I read religiously: one is Please Cut The Crap, Milt Shook’s blog on politics. Shook is currently lambasting so-called “progressives” for their hipper-than-thou attitude towards the 90% of people who vote for Democrats. After thinking about my comment, I returned to the post and added this: “If you use the term bodhisattva savant in print, gimme credit ’cause I think I just coined it.” And I was most pleased with myself for having spontaneously coined that term. I have heard people arguing that Forest was a liberal, a conservative, a mind-free force of nature, or even a manifestation of the Divine, but upon reading this essay the reader can now argue that Gump was something else entirely—something their friends never considered because, of course, they’d never heard of it! “A savant is a person affected with a developmental disorder (such as autism or mental retardation) who exhibits exceptional skill or brilliance in some limited field such as mathematics or music” (Merriam-Webster). 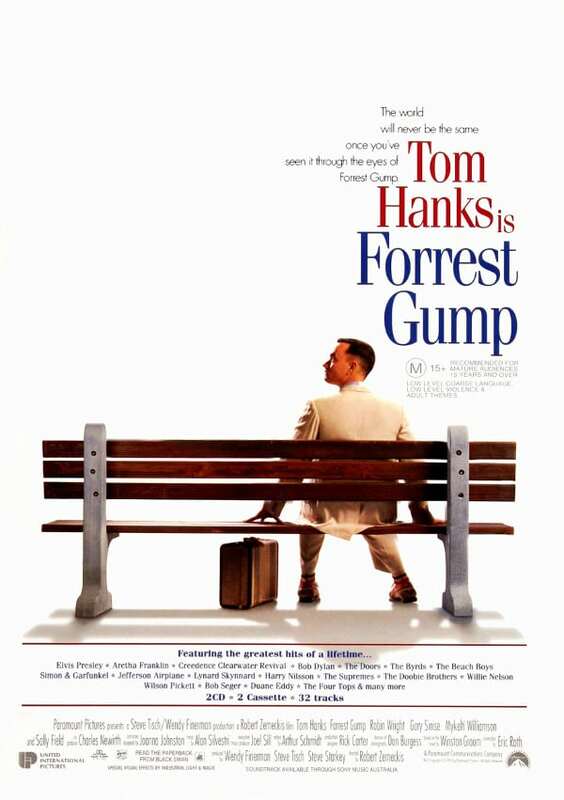 It’s rather easy to see the character of Forrest Gump in contemporary Western terms as an autistic savant type—or, as I referred to him, as a “mind-free force of nature,” although perhaps “mindless” would have been more poetically (and ironically) apt. 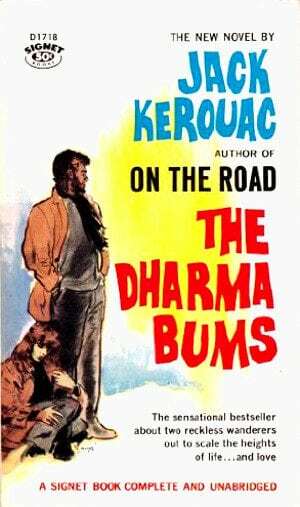 Like many people my age, I had my introduction to the idea of a living, breathing bodhisattva in American culture through reading Jack Kerouac’s 1958 novel The Dharma Bums. It remains recommended reading sixty years on. Tricycle, a magazine devoted to “Buddhism for Beginners,” has a lengthier explanation in “What Is a Bodhisattva?” by Kosho Uchiyama. Their answer (simply: an ordinary person who acts like a true adult) differs somewhat from the way the term is defined—and probably more commonly used by non-Buddhists—that the Wiki definition above. And I will go no further here: it’s not my area of expertise. But the concept of the savant and that of the bodhisattva can easily be read into the cipher-like, void-like character that Tom Hanks portrays in the movie Forrest Gump. 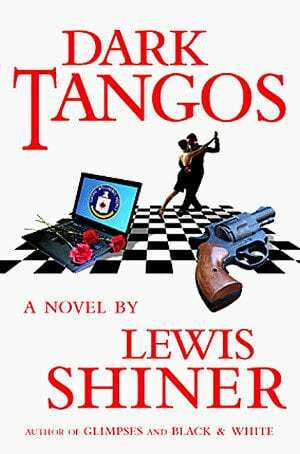 And what does Lew Shiner’s 2011 novel Dark Tangos have to do with anything? I don’t know—I haven’t read it yet! One of the negative aspects of all the time I spend researching the various topics that I write about is that I don’t have as much time for reading. But that’s changing: I just got my copy of this book today and will start reading forthwith (and if there’s a bodhisattva or savant in the story, I’ll have grist for a piece on coincidence). And so, at 4:05 on the afternoon of August 8, 2018, the term bodhisattva savant was born in the east on the comments sections of the pages on the site known as The Round Place In The Middle. And so, five days later, at 5:15 in the afternoon on August 13, 2018, bodhisattva savant was consecrated and rose in the west on this very site, where your eyes gaze now. 2 I wrote the text first and for some reason the archaic henceforth came forth and I stuck with it and in so doing it allowed me to use the equally archaic forthwith in one of the captions. 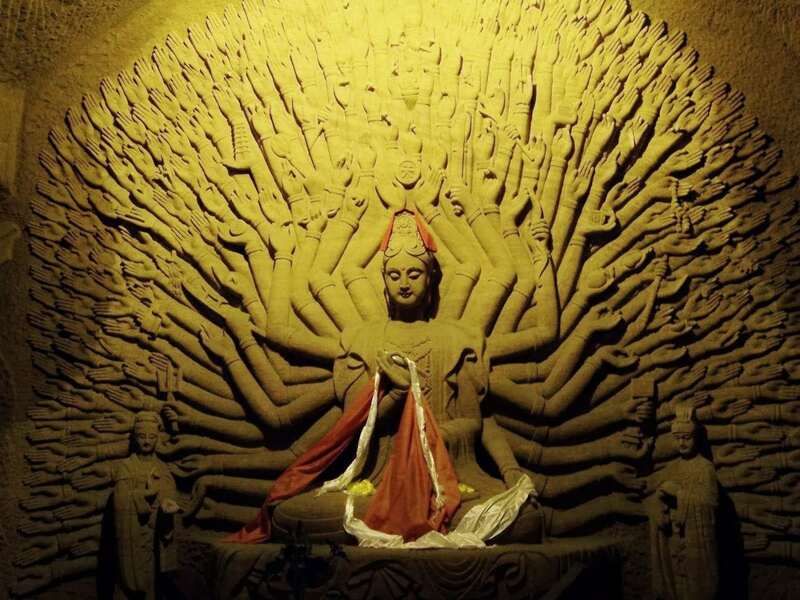 3 As can be seen, instead of a scene from Forrest Gump, I selected this lovely and imposing photo of a wall-sculpture of a many-limbed Bodhisattva found along a path to the Giant Buddha shrine in Leshan, Sichuan, China. Just so you know you’re efforts at enlightenment are appreciated, I have Forrest Gump on order…. After seeing that movie, the word “buttocks” will never be the same. Previous PostPrevious now ain’t that a helluva coincidence?